Oxfordshire Falls Prevention Service has bucked the national trend and shown a significant reduction in hip fractures as well as cost savings to the local NHS and social care system. A recent report published by the Nuffield Trust found that national hip fracture rates have remained stable over the last ten years, but the number of fractures has increased by 15.5% due to the dramatic increase in the numbers of very old people. However in Oxfordshire the overall hip fracture admission rate decreased between the start of the analysis period in 2003/04 and 2009/10 with the results showing a 5% reduction in the standardised rate of 37 admissions per year. Data collected locally suggests a greater effect, with a reduction rate in this period of between 16-25% for the population of Oxfordshire. 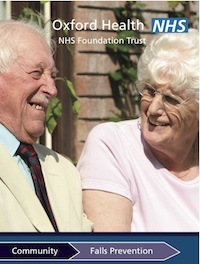 The reduction rate for care home residents was just over a 30% reduction. 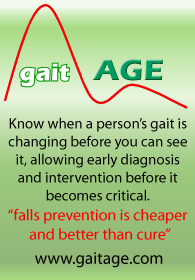 Based on research carried out by the King’s Fund in Torbay, which provides the overall cost of all fall related injuries to the health and social care system, Oxfordshire has calculated that the reduction in hip fractures of 37 cases translates to a reduction in costs from fall related injuries of £1.165 million annually to the whole health and social care system. Two years ago Oxfordshire Falls Prevention Service was commissioned to follow up older people who had fallen at home, been seen by the ambulance service, but not taken to hospital. In the last twelve months the service has reduced admissions of this type of incident at home by 17% across Oxfordshire. This has meant that 288 older people have not been unnecessarily admitted to hospital. 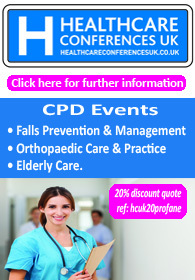 Click here to find out more about the Oxfordshire Falls Prevention Service.